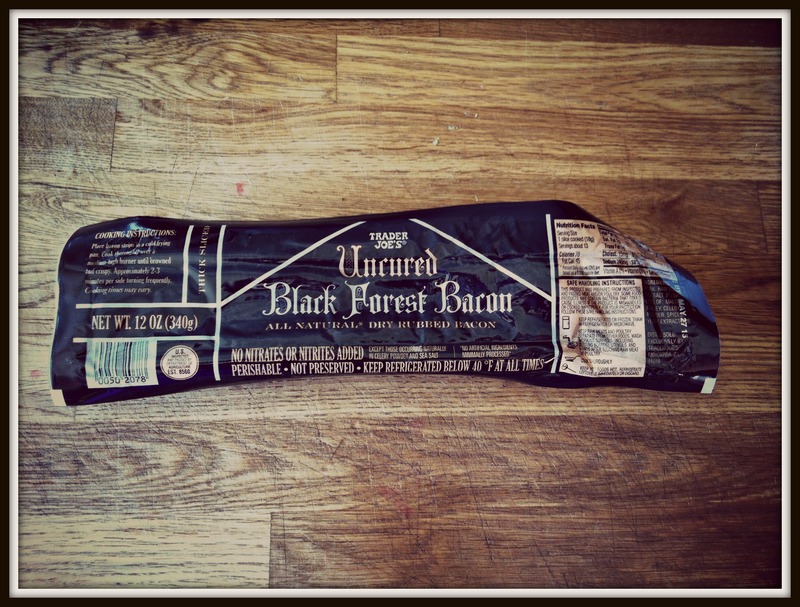 I like to eat the Black Forest Bacon on a BLT with the Trader Joe’s Wasabi Mayo on a ciabatta roll. 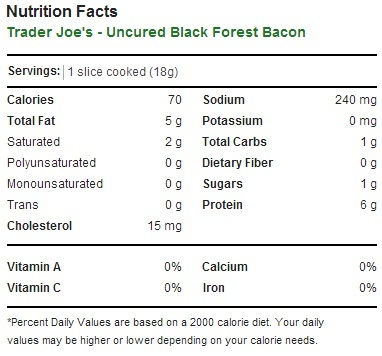 However I have to admit that I never realized I was being healthier by choosing this bacon over any of the others sold at Trader’s. I’ve always thought it was a delicious choice to put on a sandwich. Thanks for the comparison. I will continue to eat bacon guilt free now!